Our new favorite phrase: "allegedly Tweeted"
Don't trust this bird just 'cause it's cute, and also a cartoon. It appears that Z Burger decided to play dirty in the local burger war -- and now The Law has gotten involved. In March, an Elevation Burger vendor found a Twitter profile that appeared to be affiliated with their chain -- but the tweets were actually written by Z Burger owner Peter Tabibian. Ooooooh. Bring it. Kenny Fried, a publicist representing Z Burger, says owner Peter Tabibian created the Elevation Burger profile on Twitter, as well as profiles in two other competitors' names, "to be creative and fun in promoting Z Burger" and didn't intend to be malicious. Mr. Hess calls the stunt "extremely unprofessional." Elevation Burger CEO Hans Hess complained to Z Burger directly -- and also to Twitter, which eventually suspended the account. "Identity impersonation on social media sites ... can create serious problems for companies," a trademark attorney for Elevation Burger, Susan Weller, told Washington Business Journal. "Not only can it threaten to undermine an organization's marketing efforts and relationships with customers, it can tarnish their trademarks, diminish their value and even reduce their rights if proper steps are not taken to protect the assets." The Z Burger founder also allegedly had an account posing as another local rival, Ray's Hell Burger, where Barack Obama famously lunched in March. Hey! 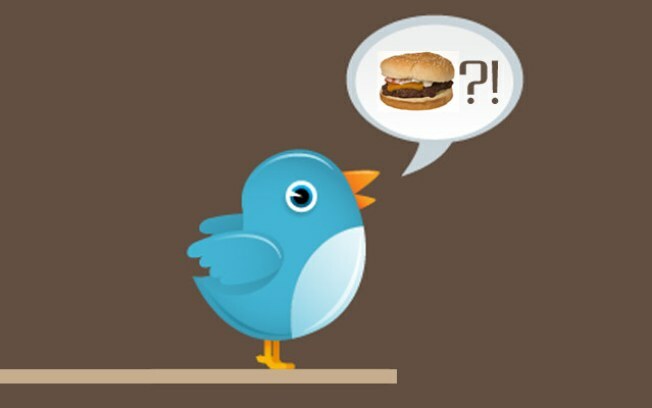 Maybe Z Burger could just fake some tweets about the prez eating at their restaurant. That couldn't break any laws, right? ... Right?